Winter weather hitting the Northeast Tuesday has caused major flight delays to and from airports in the region. Travel plans were significantly delayed or canceled for many as the winter weather continued and freezing conditions made takeoff and landing difficult. 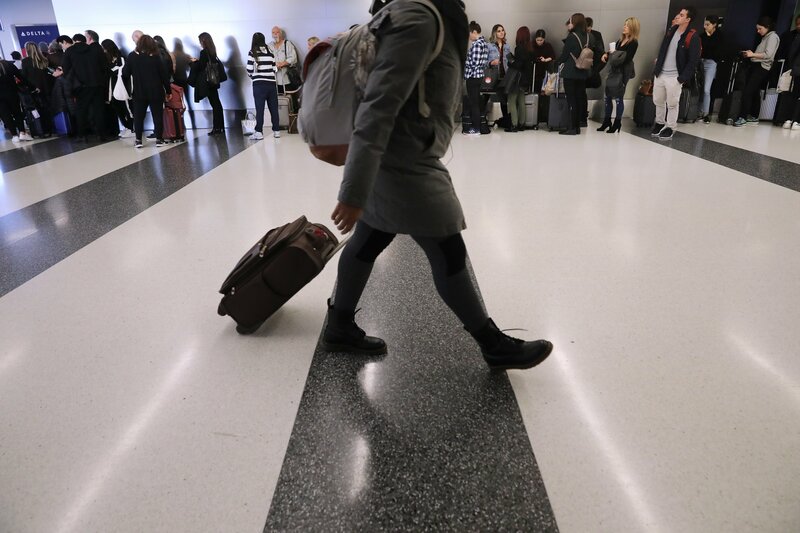 By noon more delays were announced out of John F. Kennedy International Airport in New York, and there were more than 220 flight cancellations. The airport was urging travelers to check with their carrier for the specific details on whether or not their flight was delayed or canceled. Tuesday afternoon a ground stop was issued for JFK, according to the Federal Aviation Administration. The stop was issued because of snow and ice, and there was a “good chance of extension,” it said. A ground stop limits or completely stops the planes flying into a particular airport. At Newark Liberty International Airport in New Jersey, flights had also been canceled. Flights arriving at the airport averaged delays of nearly four hours Tuesday, and departures averaged delays of 45 minutes. In a tweet, the airport urged travelers scheduled to travel on Tuesday to check their flight status. Delays were “rising,” according to the airport, and there were 176 cancellations so far because of the rainy and freezing conditions. LaGuardia Airport also reported that because of the snow and ice, some arriving flights had been delayed an average of an hour and 26 minutes. Other airports were experiencing delays because of the snow as well. At Boston Logan International Airport, flights were arriving nearly three and a half hours late, while traffic into Teterboro Airport was delayed for up to two hours. If you're flying on Tuesday, check your airport or region on the FAA flight delay website. Also check directly with your airline about the status of scheduled flights. If you're flying to or from the Northeast, or the area near the Great Lakes, check your flight status. How Bad Will This Winter Be?